Today’s episode is #200, and while it’s a podcast about blogging, today I want to talk about podcasting and share some of the big lessons I’ve learned about this medium since starting this podcast 2 years ago. I want to present with you my biggest lessons in podcasting, some tips on launching, recording, producing and promoting a podcast. I’ll share the tools that I use in putting this show together. I’ll tell you about our stats and share which episodes did best. And I’ll also share some of my frustrations and challenges and how I’ve been working to overcome them. So if you’re a podcaster or are curious about whether it might be a fit for you – this episode is for you. Hi! Hey, it’s Darren Rowse from ProBlogger here. ProBlogger is a blog, podcast, event, job board, and a series of eBooks, all designed to help you as a blogger to grow an amazing blog and to build profit around that blog. You can learn more about ProBlogger over at problogger.com. Today is our 200th episode; it’s also our 2-year anniversary of blogging, so it’s a big celebration day. I was pondering to myself, “What shall we make number 200 about?” A few people in our Facebook group suggested that I do an episode on what I’ve learned about podcasting. It’s a milestone episode. Surely by now, I’ve learned a few things about podcasting, so I sat down today to list all the big lessons that I’ve learned about podcasting. That’s what I want to share with you today. I want to share with you my big lesson. I want to share some tips on launching, recording, producing, promoting a podcast, and I also want to share with you the tools that I use to put the show together. That’s changed a little bit over the years. I’m also going to share with you our stats, how many downloads we’ve had, which episodes did best; and I’m going to share with you some of my frustrations and challenges. Some of the challenges that I see other podcast is having as well and one of the things that I’ve been doing to work to overcome some of those things. If you’re a podcaster, maybe you are new to it, maybe you’re an experienced podcaster and just want to hear someone else talk about it, or maybe you’re someone, who’s thinking about whether podcasting might be a good fit for you, then this episode is one to listen to. You can find today’s show notes, where I’m going to share some links to the tools that we use, as well as a list of those top episodes for you to dig into a little bit more. You can find our show notes at problogger.com/podcast/200 and also join our Facebook group to connect with the other bloggers on the journey as well. We might do a bit of celebrating the 200th episode in the group this week as well. Just do a search for ProBlogger Community on Facebook or head to problogger.com/podcast. Two hundred (200) episodes – I never thought we would get to this point. I remember thinking after those first 31 episodes or 32 episodes – after that first series that I did which was a daily series. I remember just being exhausted about putting that series together and wondering how long I would last. I never would have imagined 200 would be the number that we get to, and beyond, of course, because I’m not stopping. Just to give you a little bit of some of those metrics because I know some of you are interested in that sort of things. By the time this episode comes out, there’ll be 2.7 million downloads, so by no means is it up there with podcasts like Serial or This American Life or any of those big ones. But for a niche topic, it’s doing okay, and it’s exceeded the expectations that I had with podcasting. In terms of our most popular episodes, I will link to them all and list them all on the show notes. The 31 Days to Build a Better Blog series at the start is among our top podcasts. I think episode 1 is probably the most listened to podcast that we have, and that’s pretty typical for a podcast. Most people do experience that their first podcast get listened to a lot, which is a little bit stressful because it wasn’t my best recording, but I guess people do tend to go right back to the start and get curious about how it all began. That first series is certainly some of our most popular episodes. After that, episode 48 was number 2, outside of that series, and that was one, where I talked about how to make $30,000 a year blogging. I guess in terms of the top podcasts, two or three of them were about making money from blogging, which is really the core topic of ProBlogger, and so it’s no surprise there that the core topic is really important. I guess, as I looked down the list, most of them are fairly called this [00:04:05]. In episode 100 and another milestone was on 10 Things I Wish I Knew About Blogging, episode 67 How to Create a Product to Sell on Your Blog, episode 53 about How to Make Money with Amazon Affiliate Program. They really were quite a few topics about monetizing blogs. Then the other topics that were quite big were around the beginning of blogs, on whether you should start blogging. Episode 120 Should You Start a Blog At All: 22 Questions to Ask to Identify If Blogging is a Good Fit. Really some of those beginner-y type topics, which is a really good reminder. I think if you are thinking of starting a blog or even as a podcaster, really good to think about the beginner topics. Many times as bloggers, as podcasters, we think we’ve said it all. We think some topics are just too basic – people aren’t interested in those really beginner-y things like Should I Even Have a Blog? But people are, and they’re actually the questions that people are asking, so it’s those really beginner – those first questions people ask – really worth going into those type of topics. I often tell the story on Digital Photography School about that post I wrote on how to hold a camera. Such basic content, but it’s been viewed hundreds of thousands of times – that particular post. The beginner-y type stuff has done very well for us as well, but you can look at those top episodes over on the blog. But what I’m more interested in sharing with you today – some of the lessons that I’ve learned along the road over those 200 episodes. Firstly I love podcasting, and the only real regret I have is that I didn’t start earlier. I have shared that regret with you. For a while I procrastinated for years in starting a podcast, and I wish I’d started earlier. Speaking is my first love in communication. It’s what I did before I blogged. Having that background certainly was useful in starting a podcast, but it’s also helped me to improve in my public speaking. It’s given me some renewed passion for that mode of communication as well, so if you’re a speaker or someone who wants to improve your speaking, podcasting is great for that. I’m not sure that the podcast itself has increased traffic to ProBlogger, and whilst I think I was expecting that it might, it certainly has had traction in terms of those number of downloads, but I guess I’ve realized that there are other benefits far beyond traffic to my site. Actually the biggest benefit has been that it’s built a relationship with my audience. The feedback that I get from people who listen to this podcast, it’s like nothing else I’ve ever had, when I’ve met readers of the blog. When I meet readers of the blog, they can be very familiar. They can be very grateful. They can be very friendly, but people, who listen to the podcast – you can tell when you meet them almost, because they talk to you in a way that is much more friendly, more like they know who you are, and more like they’ve had conversations with you. I guess that’s one of the big reflections that I have about podcasting is that it does show a different side of you, and it also draws you into a relationship with your reader or your listener in a way that a blog really can. I get the sense when I’m talking to podcast listeners that we have had chats before. As I think about it, we kind of have. Podcasting is such a conversational medium. As I talk to listeners and you, and as I hear back from you, I realize that we’ve done the ironing together. We’ve driven to and from work together or to and from family activities together. We’ve actually had conversations when your kids have been around or your partners have been around or your friends have been around. Some of us even go to bed together. Some of us even have a shower together. Some of us exercise together. It’s weird – the places that we hang out. As a result of that time together, our relationship then is – there’s something deeper than I’ve ever seen in a blog before. It’s difficult to describe it, and I guess it really comes down to the fact that you listen to me and you hear the voice and you hear the expression. You hear those days when I’m croaky and I’ve got a cold. You hear the days when I’m excited about something, and it’s definitely a conversational space. I guess the way I look at it is that each week I get to have around 10,000 conversations with people for half-an-hour at a time. Where else could I have that many conversations with people? That’s a really exciting thing. I love podcasting for those reasons, and I guess they’ve been the reasons that I regret not starting earlier. They’re the main reasons that I say to people, “Consider this medium. Consider it as a way to change people’s lives,” and really that’s what I am all about. I’ll come back to that point a little bit later. But also purely from a business sense, where else could you have that many conversations with potential customers? Ten thousand (10,000) people a week listen to this podcast. You may not get that many. You may get more, but all of those conversations are time added up. It’s like 5000 hours of me having meetings with people and building relationships with people. You just can’t do that in any other way. There are a lot of benefits from podcasting on that front. I’ll talk about a few more of them a little bit later. Let’s go back to the launch. Two years ago now, I think it was the 1st of July 2015; I launched the first episodes. We started with 31 Days to Build a Better Blog. Many of you have been through that series of podcast. It’s still sitting there. You can actually do 31 Days to Build a Better Blog anytime. You can go back and listen to tips. In fact there’s a whole group in the Facebook group, who are about to go through that series together over the month of July, so check that out. But I think launching with that series really got things cranking. They got the archives built up. Doing 31 episodes in 31 days actually filled our archives. I knew bloggers who’ve been blogging for six months, who didn’t have 31 episodes, and I had that many after the first month. And so the archives were fuller. Having more content in iTunes means that you do get found a little bit more by people doing searches in iTunes as well. Probably also helped us to rank in New and Noteworthy and What’s Hot on iTunes and that type of thing as well. But I think the most important part about launching with that kind of series is that it built anticipation and momentum. Anyone who listened to that first episode, who decided that we’re going to do 31 days to build a better blog was listening every day over those 31 months. Having said all that, it almost killed me as well. It’s a lot of content to record, to prepare for, to edit, and to get up online over a month, when you’ve never ever done a podcast before. But I learned so fast, and I learned so much in that month. I learned that having content that flows from one episode to another is a very powerful thing, and it’s something that I’ve done since a number of times having these series of content. I learned that having a podcast doesn’t always have to have a sponsor to be monetized in those first 31 episodes. In fact for the first 10 episodes, we did have a sponsor, but we’ve rarely had one since. The reason for that was it wasn’t that I didn’t like the sponsor we had or I was closed to that way of monetizing, I just found that in that episode that that sponsor didn’t get as much traction as I wanted them to get, and yet I was selling eBooks from that series that I was doing. I made more money over that from selling eBooks than I did having a sponsor on the podcast, so I’ve always used the podcast more to monetize in that way and to build the brand but also to sell the products and the events that we have. Other series of content that we’ve run since have worked well as well. One of the tips I would give you is that if you’re producing a podcast or a blog, tie your episodes together into a series. It allows you to go deeper into a topic to create momentum, and it also helps to get people subscribed. What I think is that starting off with those 31 episodes really did help me to – it gave people a reason to subscribe. If I just started with 31 random topics and they didn’t tie together, there would have been no reason for people to subscribe. But if you subscribe today, you get the next 31 episodes – that gave people a reason. It’s a really great way to start it off. I was excited to hear in the last week or so that Apple is making some changes to iTunes over the next little while to help podcasters make series of content easier to consume. I suspect that once they launch that, I will do more series of content on this podcast as well. Let’s switch over to tech and production. I’m really glad that for the first 15 or 16 episodes I think or it might have even been the first 20 that I did all that podcast editing myself. I set up my own podcast. I got it all set up with the service, and I’m really glad I did that. I know you can outsource that type of thing, and I will recommend a service later that can help you with that. But I’m really grateful for the fact that I did it myself because it gave me an understanding of what’s going on behind the scenes. It also means that when I come to troubleshooting different things, like if an episode doesn’t go live in iTunes, I can troubleshoot that because I’ve got an understanding of that. If you’ve got the ability, if you’re slightly techy, it’s not too hard to do. I followed Pat Flynn’s podcasting tutorials to set it up, and I’ll link to those in the show notes today. It was a really useful resource that I’m very thankful for – completely free, and so I did that. It also taught me how to edit my first episodes as well and get them up online. I’m glad that I set it all up. I’m glad that I learned how to edit podcasts, but I’m also glad I outsourced it. I’ve got the understanding of it, but outsourcing – it was one of the best things I did as well. I’m very, very grateful to Rose Wintergreen, who helped me in the early days of editing the podcast, and then in more recent times, Podcast Motor, who have been unbelievable in the service that they offer me in helping me to get the podcast up. You can check them out at podcastmotor.com. They do all our editing. They arrange our transcriptions in the show notes, so they actually put the show notes together as well. They upload it all to the service and basically schedule it for us. They also offer services in helping you to set up a podcast and talking you through your launch and all of that type of thing as well, so if you do need that hand-holding, they’re a great service, Podcast Motor. Basically what I do is I plan my show, I record my show, and then I upload all the bits, the intros, the outros, the teaching, the interviews. I just put them in a Dropbox folder, and then they do the rest. I give them a Google doc, which basically has any instructions that I want them to include, any links that I want in the show notes, and then they go to work and they get it all together. It’s one of the best things that I’ve ever done. It really did come because I was burning myself out doing it all, particularly being a daily show in the early days. Outsourcing, of course, has some costs, but it does mean I spend a lot less time on that stuff that I’m not really gifted in. I think it’s also increased the quality of what I do as well, and it enables me to focus on what I’ve got strengths in. Another thing that I’m glad I did is add more detail into our show notes, so I’m really glad that we have transcriptions now in all of our show notes. The early episodes still don’t have the transcriptions on them, but I used to get a lot of feedback from readers saying, “Hey, I’m not a listener of podcasts, but I like to read them.” I guess this was because my first listeners were my blog readers. I’ve been blogging for years, and so most of the people who knew me were blog readers. There’s no wonder that that was their preference. They wanted to read – a lot of them. A lot of you also love to listen, and that’s fantastic, but I probably should have gone to that transcription earlier. I was a really bit tight. I wasn’t quite sure how long I will keep going with podcasting. I wasn’t sure how to monetize it, and so I put that off for a little while, but I’m really glad that I added that in. It also makes the podcast a little bit more accessible to people, who are unable to hear, and that’s a great thing as well. A few other things in terms of production and the technicalities – let’s talk about iTunes. ITunes is a mystery to me and how they rank content and all of that type of thing. I remember in the first few months being quite obsessed with checking, “Where am I ranking today? Am I above this person or am I below that person? Why am I not ranking higher?” I know for a fact that I get a lot more downloads than some of my podcasting friends, and yet they rank higher. I don’t really understand why that is, and I think I could quite easily become quite depressed about it and quite obsessed by it. I guess the big advice I come to you, when it comes to iTunes, is – yeah, it’s great if you can get into New and Noteworthy. It’s great if you can rank higher because it does help a little bit. It’s the biggest podcast listening platform, but don’t obsess on it. Obsess on useful content. Obsess on the quality of the production. Because all of that is going to help you in the long run with iTunes. The other thing to know about iTunes is that it’s a search engine. Pay real attention to the keywords that you use in your titles, in the descriptions that you have, because people are searching for content in iTunes. I know for a fact because I get emails from listeners who say, “I never heard of you until I searched in iTunes for blog tips or for how to start a blog or those type of things.” It can be a great source for new listeners as well. Don’t become obsessed with ranking in iTunes; become obsessed with useful content. 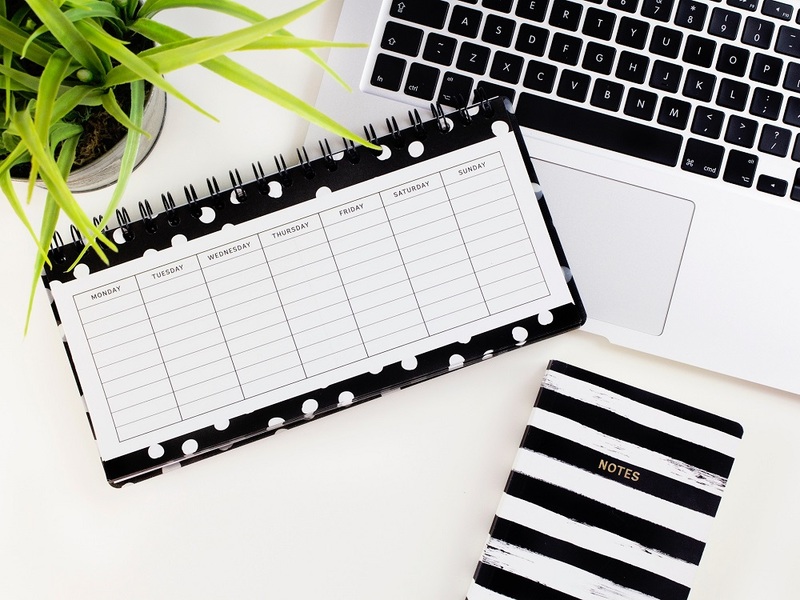 Pay attention to those details like getting your titles right, in the same way that you would pay attention to the headlines of your blog post. People will find you because of your titles, but they’ll also determine whether they’ll press play or not depending on your title, so make them enticing. Let’s talk a little bit about recording podcasts. One of the big differences for me in the first 10 or so episodes to now is that I stand up to record every podcast. A big thank you to Rachel Corbett, who emailed me after a week or two podcasting, and she told me that she thought I would have so much more energy in my delivery if I stood up. And she was so right. Standing up to me is a more natural way for me to speak. I never ever, ever in my public speaking days, ever sat down to speak; I always stood. I paced around the stage, and so standing up does bring some energy to that. I think it’s really helped. Also just getting that advice that maybe I was a little bit flat in those early days – it was really useful. So one of the tips I’d give you is to stand up – is to bring energy to what you do, but also get someone else to listen to your podcast and give you critique. I wish I’d actually gone out seeking that critique because it took me a couple of weeks to work out how to improve in that way. A few people have asked me in the Facebook group about how I outline my podcasts. Do I write it all out and read it? In the early days I did do that a few times, but I also discovered very quickly that it was much more natural for me to bullet point my outlines. What I’m looking at right now is a Google Document. I do all my notes in Google Documents. I have some subheadings, and then I have bullet points down the page. I’ve got quite a few of them today. But I don’t tend to read. Unless it’s something really important, I don’t read it. There are segments of what I deliver each week, but it’s generally just bullet pointed. I don’t practice my podcast too much ahead of time, but I do spend a lot of time doing it. I prepare quite a bit, and I’ll touch on that in a moment. Big thing I will say about podcasting for the first time is that you’re going to feel really weird doing it the first time, particularly if it’s just a single voice podcast, which is what I’ve predominantly done. You’re going to feel exposed. You’re going to feel weird. You’re talking into a microphone in an empty room. If you’ve got other people in the house, you’ll wonder how it’s coming across and whether they’re going to think you’re talking to yourself. It’s going to take you a little bit out of your comfort zone, but you’ll get used to it over time. You’ll get better at it over time as well. I tend – and you’ll know this, if you’ve listened to more than one – I tend to do my podcast in one take. As a result there are occasional stumbles. I’ve made one before. There are little mistakes. I know some people edit those things out, but I think and I hope my audience forgives those stumbles. It’s less editing time, which reduces the cost a little bit, but it also humanizes you. I think most people relate to those stumbles in conversation. It does make it a little bit more personal and conversational, I guess. I’d rather spend my time doing other things as well as podcasting than just spending hours and hours and hours getting my delivery just perfect, so I tend to do it in one take. Having said that, I spend a lot of time, as I said before, really preparing a lot for my podcast. If I’m doing a teaching podcast that typically lasts 20 or 30 minutes, I would spend an hour to two, maybe three hours preparing before I record anything. The recording may only take me 20 or 30 minutes, but I’ve spent two or three hours getting that outline right, thinking about the flow of the teaching that I want to do. If it’s an interview, I spend a lot of time – even more time preparing for that interview. Speaking of interviews, the format – and this is something I get asked a lot about, and it’s partly because it’s changed a little bit since I started. Almost all my first podcasts were just me talking; all of them were teaching podcasts. This was because that’s where I felt most confident. I’m used to public speaking, and I’m used to planning, designing the flow of the talk, and really thinking about the journey that I want to take those who are listening to me. I love that process. I love doing the slides, when I’m doing a public speaking talk as well, so it was a natural thing for me to want to do that type of podcast. Also, I guess, I wanted to start that way because I saw a lot of interview podcasts out there – in fact, most of the podcasts that are out there in my particular categories are interview-based ones, and so I wanted to do something a little bit different. I think that worked quite well. I got a lot of feedback that it was a bit different to other people, and they actually enjoyed that teaching style rather than the interview. Having said that, I’ve started to do more interviews, and if you’ve been listening for the last little while, almost every second episode now is an interview. I got through little patches, where I do more than others, but there are a number of reasons that I’ve started to do more interviews. Firstly, I don’t know it all, and I know there’s a lot about my topic that I don’t know. You are going to miss out as a listener, if I don’t get other voices on this podcast. That’s one of the reasons that I’ve set out to do some interviews and do some case studies and find some experts in different areas. Secondly I wanted to stretch myself out of my comfort zone. I hardly ever get nervous about doing a podcast episode, where I’m the only one talking. I’m not nervous at all right now. I’m actually really enjoying this, but I get really nervous when I’m doing an interview. For that reason, I decided I wanted to do more interviews, because it took me out of my comfort zone. I know I’m not as good in that format, but I feel like I’m getting better, and I want to learn how to do it better. It’s partly about facing those fears and wanting to grow and stretch myself. Thirdly I also started to get some good feedback about those few interviews that I did, particularly when I was interviewing bloggers, more of a case study type – one like Nikki Parkinson we did very recently. The other reason is that it’s really hard to come up with a teaching topic for 20, 30, 40 minutes every week, particularly when you also want to write content for a blog, when you want to speak at events, when you want to travel, when you want to do other things. So I decided that one way that I could slightly lighten the load when it comes to the teaching is to bring other people on as well. That’s been the reason for some of the changes in this particular show over the last little while. Let’s talk about length because that’s a question I get asked a lot by other podcasters. What’s the best length for a podcast? I don’t believe there’s a best length for a podcast, but I have found in my podcast that 20 to 30 minutes seem to be a sweet spot. I’ve had a look over the years at the amount of downloads that I get at different lengths, and I’m not sure that length is the biggest determinant. I think the title was probably a bigger one and the topic itself, but those 20-, 30-minute ones do pretty well. Having said that, I’ve had a few interviews lately. They’ve gone over the hour mark, and they have really quite amazing download numbers. There was one recently about how to become a prolific writer or content creator with Kelly Exeter. That’s in now Top 10 Most Listened To Podcasts. Some of those longer ones do very well as well. As I said with blogging, there’s no perfect length for a blog post. There’s no perfect length for a podcast. I think, do as long as you need to do to be useful, and that’s important. The other question I get asked a bit about is frequency. How often should you podcast? Again, as with blogging, there’s no right or wrong answer here, and things have changed for me over the years. I started out daily for that first month, and that was partly because I just wanted to do that series just to launch it. I then scaled back to twice a week, and that was a real sweet spot. I had a lot of positive feedback about that. It stood out again from others in my niche, who were doing weekly shows – a little bit more than them. I was tending to do shorter, sharper shows. They were 10-15 minute shows. More recently I’ve started to do once a week. Again, there were a few reasons for this. Firstly I already had quite an established archive of shows already in there. Also in the early days, when I started, I had a lot of energy for podcasting, and whilst I still really love it now, I guess some of that newness has worn off. Perhaps now, I want to get back to some blogging and some podcasting and get that balance right again. Also, I only have so much to say in twice a week. That’s a lot to come up with to say. I guess some other of the format of what I’ve done has changed to a slightly longer episodes. I know it also takes a lot of time for you to consume that content as well, so I have scaled back a little bit on that. It also fits in with what we’re doing on the rest of ProBlogger. We used to publish on the blog, on ProBlogger, 10 times a week, and we’ve really scaled that back to 2 posts a week. Two posts a week, one podcast a week, one Facebook Live a week – that’s our new schedule. That has come out of us wanting to increase the quality, but also listening to you as readers saying, “Ten posts a week is too much for us to consume.” So we really are scaling it back on that front. Having said all that, I’ve done a few series along the way. Back in August last year, I did 7 days of daily shows again. That was this little series I did called 7 Days to Get Your Blogging Groove Back. That worked really well. If you are on a certain frequency (maybe it’s once a week), it doesn’t mean you can’t throw in a real burst of extra content for that week. We actually did really well over that week. Our download numbers were crazy, and it built some real momentum and engagement as well. Few other quick tips on the production of your content – listen to your own podcasts. You will find it incredibly awkward to do. You’ll probably hate, like I do, the sound of your own voice, but you will also start noticing when you are flat, when the show loses a little bit of its momentum. You’ll also notice when you say certain words too much, like I say the word “heaps” a lot. I’ve been trying to cut back on that. I think it’s a bit of an Ozzie thing because I know a few other podcasters here in Australia, who say “heaps” a lot instead of “a lot.” Listen to your own podcast, but also listen to other podcasts. You’ll learn so much about flow, the design, sound, how to have energy, how to ask good questions, how to make good calls to action. You’ll learn so much when you start to see what others are doing. You’ll also start to see what everyone is doing and how you can stand out a little bit. The last thing I’ll say is consider who else is listening. I mentioned before, I know that a lot of you have your kids right now sitting next to you listening to this as well. You might be in the car driving them to school or at home or something like that. I love the fact that this is family-friendly, so I worked really hard to keep it family-friendly and accessible to different ages as well. If you are a kid listening now, I’ll share that to you. I will say, I’ve been toying with the idea of an episode for kids on how to be a kid entrepreneur or how to develop a web presence online, if you’re a kid. If you want to hear that episode, let me know. Before I wind up and talk to you about our tools, I want to talk to you about some of the frustrations and challenges that I’ve had with podcasting because it’s not all easy and it’s not all roses. Firstly I always am frustrated by the sound or quality of the room that I record in. I know I need to take action on that. I live in a house. I’m in the front room of the house, and you can probably hear from time to time buses driving past. We have a bus that goes past every 20 minutes at our house. I have a printer in my office. The room is a bit echoey. That’s something that I’m aware of. We’re actually toying with the idea of moving house in the next year or so. There’ll be some opportunities at that point to make some big changes. The best ever episode I did was recorded in my son’s room. Because it was so messy, it seemed to soak up all the echo. I could probably move in there full-time because it’s always in that state, but I’m not sure I can bring myself to spend too much time in there. It does mean moving all my gear in there. By the way, kids, if you’re listening, clean your room. The next big challenge that I faced – and I’ve really noticed it’s quite different between podcasting and blogging – is that people tend to listen to a podcast, while they’re doing something else. As a result of that, getting them to take action on a call-to-action can be really tough. Many of you are driving a car right now or you’re on a train or you are surfing the web, or you’re doing something else, while you’re listening to me right now. You might be out for a walk. As a result, if I say, go to this link right now, the chances are pretty small that you’ll do that – less chance that you’ll do that just based upon my voice saying, “Go. Do it” than if I had a link in front of you right now that you could just click. This is something I find a lot of podcasters struggle with. How do I get people to take action? How do I get people to my sales pages? How do I get that type of action? One of the things that I think is really important is to find out where you can get a second re-point of connection with people, where you can get them on your email list, or the big thing that we’ve been working on is our Facebook group. You’ve heard me every podcast talking about “Join the Facebook group.” That’s partly because there’s a lot of value in that Facebook group, but also I know that if I can get you to come over to the Facebook group, that gives you another opportunity to hear the call-to-action that I make. I can remind you in that Facebook group of the event that we’ve got running, or I can remind you of the challenge that we’re doing this week. I know you also get a lot of value and enjoy being in that group as well. The group for us has really helped in terms of getting people to take some action. Getting people to join the group is still a challenge, and that’s why we emphasize it at the top and tail of every show. But I know once you’re in that group, it becomes a lot easier. Another frustration that I have had – and this is a big difference I’ve noticed between blogging and podcasting, and social media and podcasting – is that there’s no real interaction. I put my podcast up, and some of you listen to it on the show notes, but most of you listen to it on iTunes or on some other player, where there’s no way that you can leave a comment. I personally would love it if iTunes would add comments. I think that would be fantastic. But it can be a bit of a strange experience, if you’ve been a blogger. Again, this is one of the reasons that I really am enjoying the Facebook group because it gives me immediate feedback on the shows that we’re putting out. I can get questions. I can do follow ups. I can understand if I missed the mark. I get ideas for future shows and future content as well. 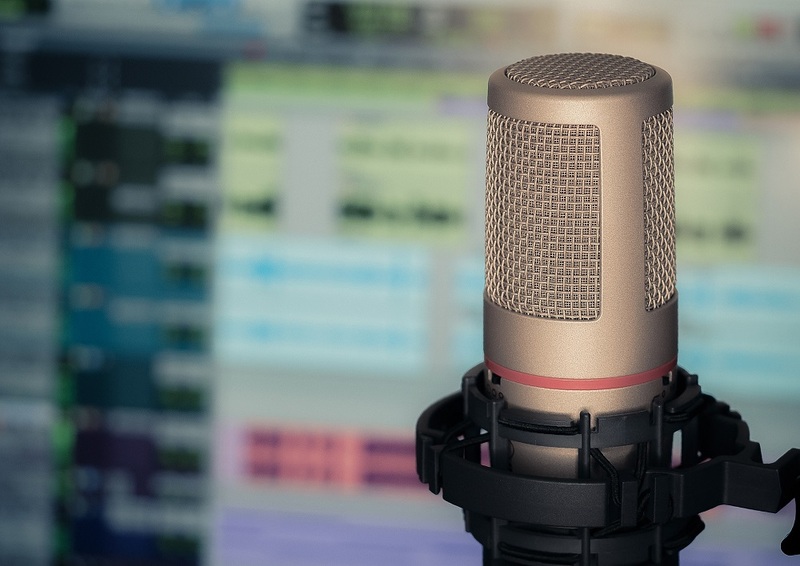 That’s something just to be aware of when you do make that switch to become a podcaster is that you are going to at times feel a little less interactive with your audience, and you may need to find a way to build that interaction. The big tip I’ll give you about podcasting is the same tip I give about blogging. The key to a successful podcast – and I say this both from my own experience but also as a podcast listener. I listen to podcasts every day – for at least an hour every day. Make your audience’s life better as a result of listening to your podcast. If your audience do not get something out of what you do as a podcaster, they won’t come back. The same thing is true for blogging as well. If you are thinking about starting a podcast or if you already have one, really focus upon who it is that you’re trying to reach and how you’re going to change their life. Great podcasts and great blogs leave people different in some way, as a result of them interacting with that content. You may have a teaching podcast like me, and for me the change that I’m trying to bring – I’m trying to help you to start great blogs. I say it at the start of every show. I want you to start a great blog, I want you to create great content, I want you to build your audience, and I want you to build profit around your blog. That’s the change that I’m trying to bring. That’s the action that I’m trying to bring about as a result of you listening to this show. You may not have a teaching show, but you may have a show that tells stories. I listen to a lot of storytelling podcasts. They leave me informed. They leave me inspired. They leave me motivated. They leave me feeling something. Those are changes that they are trying to bring. Identify the change you’re trying to bring. Identify the journey you’re trying to take your readers on, and make sure that every episode that you publish brings about that change in some way. Work at how you want to change people’s lives and deliver that. Before I finish, I want to just run through some tools that I use in my podcasting. I’ve already mentioned Podcast Motor, who do a lot of the editing work on my podcasting. My podcast server – I use Libsyn. I’ll link to all these in the show notes. I record my podcast directly into Apple’s GarageBand. I use Skype recorder from the same people who make Ecamm to record interviews. It’s a Mac tool. I’ve used the tool called Ophonic, which levels out your podcast, particularly if you’re doing interviews. You can get different volumes, and it just brings consistency and cleans up the audio a little bit. I use a tool called mypodcastreviews.com. They send me a weekly email that pulls in all the reviews that you leave me on iTunes and other podcasting tools as well. If you leave a review on iTunes, I get an email every week and get notified about that. I look forward to those emails every week. I use a tool called PowerPress. It’s a WordPress plugin that enables me to get those podcasts up into WordPress and get those show notes together. The microphone I use is a Rode Podcaster, which is a microphone that’s been around for a few years now. I think there might be newer versions since the one that I’ve got, but it’s always been a good performer for me. It’s a USB-based microphone. I would love to hear from you. As I said before, podcasting can feel at times a little bit lonely like you are talking to yourself, which I kind of am right now. But sometimes you wonder, “What are people thinking? How are they reacting to what I’m saying?” When you tell a joke, are they smiling or laughing or cringing? There are a few ways that you can give me a little bit of feedback. I particularly love the feedback at the 200th episode mark. Tell me what you think about the podcast. I would love to hear that. You can do that in a number of ways. There’s social media. Our Facebook group is probably the best way, problogger.com/group or search on Facebook for ProBlogger Community. You can give us your feedback in there. Our show notes all have comments on them. Just go to problogger.com/podcast/200. It’s a WordPress blog. You can leave comments there. Or you can leave us a review on iTunes or any of the other podcast players that have reviews on them. As I say, I’ll get an email every week about those. Of course you can tweet me at ProBlogger as well. The last thing I want to say is thank you. Those 2.6 million or 2.7 million downloads are not downloads; they’re people like you who listen. I really appreciate that. I do appreciate those who’ve joined the group and who do give feedback and who do give encouragement. I appreciate those times where I bump into people in real life as well at conferences and hear your stories of where you spend time with me each week. I really do appreciate all of that. I appreciate you coming to our events and buying our eBooks as well, which really is how we sustain what we do at ProBlogger. I really do look forward to spending the next maybe 200 episodes with you. I hope the podcast has delivered some value to you, and I look forward to chatting with you next week in episode 201 of the ProBlogger podcast. Head over to the show notes, problogger.com/podcast/200 where I will list the top 10 podcast episodes that we’ve done so far, so you can dig into some of those as well. Thanks for listening. Chat with you next week.